JK's Wing: Actor Daniel Radcliffe reportedly wants to star in 20th Century Fox's untitled Frankenstein project. 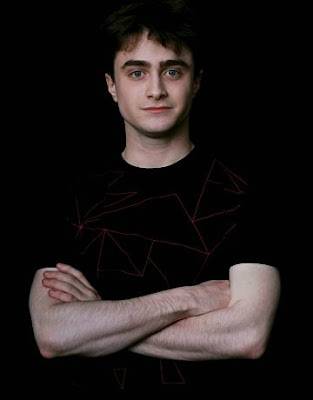 Actor Daniel Radcliffe reportedly wants to star in 20th Century Fox's untitled Frankenstein project. The 23-year-old is reportedly interested in portraying the lead character, Hunchback, in the movie adaptation of Mary Shelley's novel, reported Aceshowbiz. Nothing is finalised about the "Kill Your Darlings" actor's involvement since a script needs to be finalized first before serious talks will begin with any potential cast. Hunchback itself is described as "pathologically dirty and dressed in old clowns clothing." Fox's Frankenstein is aimed to be a "sci-fi take on this classic story about a creature produced through a scientific experiment." Max Landis is tapped to pen the script, while Paul McGuigan is on board to direct the film. Several other "Frankenstein" projects are currently in development, including Lionsgate's "I, Frankenstein". The horror film is set for a September 13, 2013 release in the US with Aaron Eckhart playing the titular character.